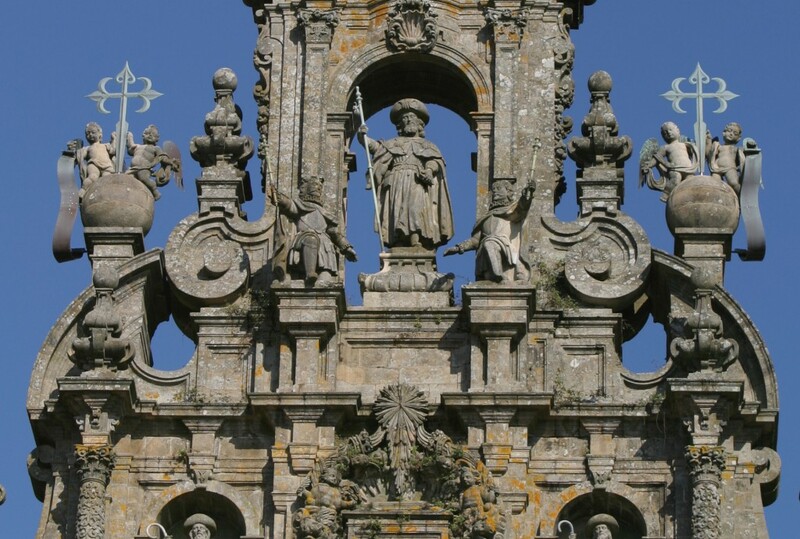 Plaza del Obradoiro is an excellent visual summary of the possible iconographic representations that have been made of St. James. The Cathedral façade features the pilgrim with a cape, hat and staff. In the Hostal de los Reyes Católicos and Colegio de San Xerome, he appears as an apostle, although with some nods to pilgrim symbols. 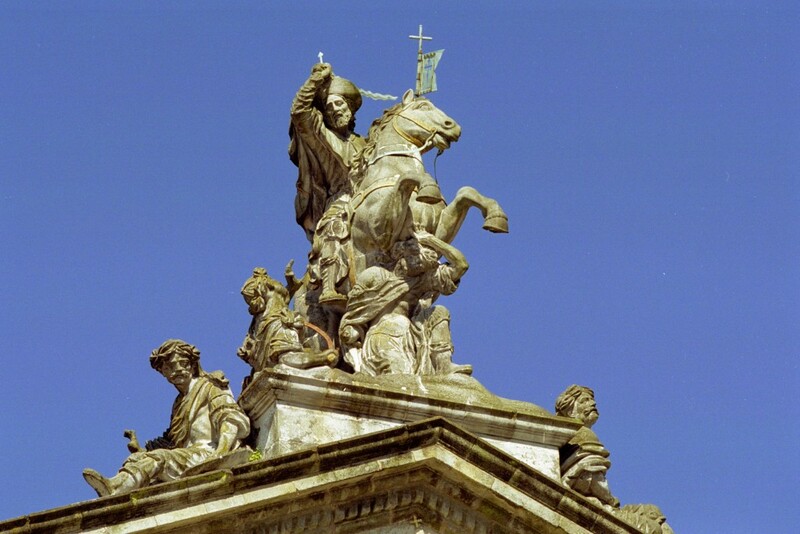 And finally, high up on Rajoy Palace, he is depicted as a warrior, riding on his white horse and beside the famous Battle of Clavijo.